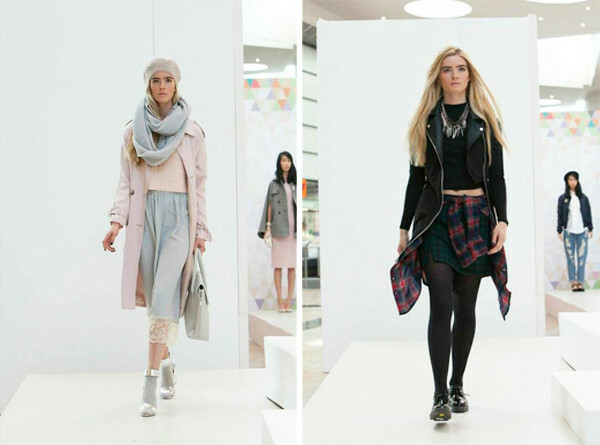 Now that we’ve completed our fashion degrees, we aren’t as involved in the fashion world anymore so it was lovely to get back into it when we were asked by the lovely people at Silverburn to take part in their Autumn Fashion Fix event a few weeks ago. Autumn is definitely our favourite season for clothes. All the cosy layers, boots and scarves are quickly making their way into our wardrobes. We headed over to the shopping centre with a few other Scottish bloggers for a day of crazy fashion tasks and a relaxing finish to the day. We met up with Victoria who introduced our first task of the day, picking out clothes and accessories from the range of stores the shopping centre offers and styling them into an Autumn/Winter outfit. It’s safe to say we were all loving Zara that day and promptly made a quick trip to the store to make a few purchases of their amazing stock this season. Some trends which we’ve been loving were the oversize coat trend and being Scottish, we do have a bit of a soft spot for some tartan. Next up after munching on a lovely platter from La Tasca, was the main event of the day, the Autumn Fashion Fix Fashion Show. The show was hosted by Scottish TV presenter, Project Catwalk and style consultant Nick Ede who made the show very enjoyable to watch. The show highlighted themes ranging from Rebel Rebel, The Lady, Masculine/Feminine, Dark Romance, Keep the Faith and Cross Cultural all from high street stores such as Zara, Kurt Geiger, Topshop and M&S. The first look in the photo above is from The Lady Trend with lots of soft pastel shades, all from Topshop with accessories from Accessorize. Our other favourite from the show was from the Rebel Rebel trend with all pieces from New Look. For more looks make sure you check out the Silverburn Facebook page. After the show finished we headed off to Debenhams for a lovely manicure and polish from the Nail Girls salon. The salon is located right in the middle of the department store so when you’ve finished all your shopping you can stop by and get pampered! We both opted for a purple option, while Lisas was more of a muted, autumnal dark purple shade, Sami went for a metallic violet shade which was perfect for the night ahead. Just be careful you don’t smudge your lovely manicure while picking up your shopping bags! 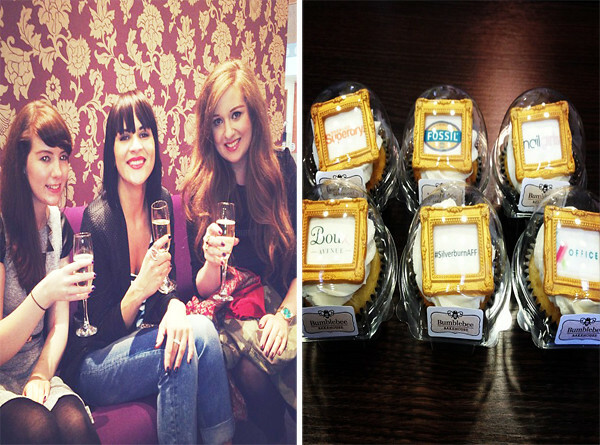 L to R: Sami, Tatyana from Secret Little Stars and Lisa enjoying champagne at Pure Spa and amazing Bumblebee Bakehouse cupcakes. To finish of the day, we were truly spoiled again with a lovely 15 minute massage from the lovely ladies at Pure Spa. They offer such a wide range of treatments so definitely get yourself booked in the next time you fancy a beauty treatment. We’d never normally think a 15 minute massage would be offered anywhere or that amount of time would be worth it but trust us when we say it was amazing! The 15 minutes seemed to last about double the amount and when we left we were almost falling asleep at how relaxed we were. The PURE massage which is what we had only costs £19 so if you’re a bit sore and tired from your hard day of shopping, it’s definitely tempting to pop in to get rid of all the tension from carrying all of your heavy bags ;) The spa had a really lovely, relaxing atmosphere and it was hard to believe another fashion show demonstration was happening just below the store, we didn’t hear a thing! If you’re from the Glasgow area, definitely make sure you visit the Silverburn shopping centre soon. They always have fashion and beauty events running throughout the year so there’s always something to do. Also a huge thanks to the organisers for making it such a lovely, fashion filled day. 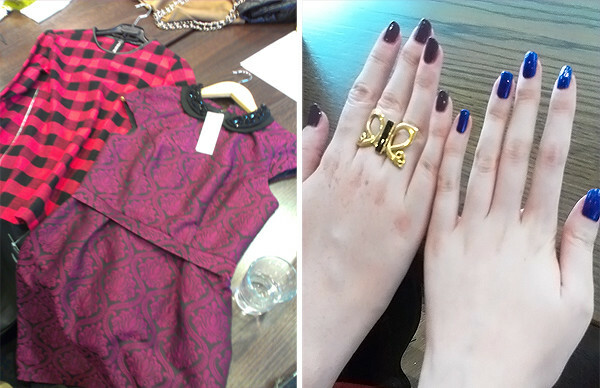 Now excuse us while we take another trip to Zara..tartan is calling. Disclaimer: We weren’t sponsored for attending the event nor received any sort of payment for writing about it, but did receive a few treatments for free on the day for attending. Just thought we’d share our experience with you guys!